What Lies, beneath. Civil and public service pay, again. So, public sector pay is back on the radar. The publication by the CSO of the recent public/private sector pay comparisons has given rise to the usual outpourings from the organs of media billionaires. The facts on the face of it seem stark : see the graph. However, beyond the bilious soundbits of bitter hacks, a different, complex, story emerges. That there is a wedge, whereby public sector pay is on average greater than private, is a fact. The issue is why : some may simply think it to be capture of the coffers, others might note that one is comparing apples and tomatoes. This entry was posted in Blogpost and tagged civil service, economy, pay, pay gap, public sector on August 29, 2014 by brianmlucey. Color me cynical but the leaking of the pay deals made with senior executives in charitable health organizations seems to me to be an effort to mudsmear and distract from the ongoing disaster that is the management of the Irish Health sector. In any case, the government has been talking tough on this saying that pay caps across the public sector and related must be adhered to. In which case, we can expect to see the massive salaries of special advisors being cut can we? Theres a cap of 92k there. Of the 10 Special Advisors who earn more than the cap 5 are for Labour ministers. Thats punching well above their weight in cabinet. 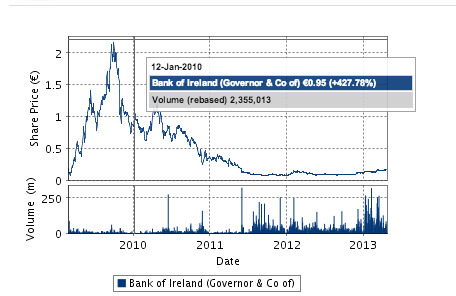 And lets not forget the bankers, on whose pay the Minister for Finance professed himself ‘powerless‘ . I have no idea what these special advisors do. Some I have had minor contact with over the years and they struck me as smart and dedicated people. Do they deserve to be paid more than the heads of some of the most critical aspects of the health sector? Or bankers? If the criteria, as it seems to be, is that if the preponderance of your money comes from the state you adhere to the state pay rule, fair enough. But lets not cut funds to the CRC when we are paying the press advisor for the minister for sport over 100k PA. This entry was posted in Blogpost and tagged Hypocrisy, ireland, pay, special advisors. on December 1, 2013 by brianmlucey.